Tom Shapiro will deliver an engaging keynote addressing financial health and well-being, workforce and asset building, and more equitable policy/systems changes needed to minimize racial wealth gap. In the current workforce environment, employers are looking for innovative ways to gain a competitive advantage. Janice Urbanik will deliver an engaging presentation that highlights the value proposition for companies to hire the available workforce, including individuals who are unemployed and underemployed. While raising wages is one solution, employers must also improve recruitment, retention, and operational practices. When companies improve their practices, it has a ripple effect – creating opportunities for inclusive prosperity, helping families, neighborhoods and communities thrive. Attendees will learn how to engage employers interested in growing their workforce, leading to better opportunities for their clients. 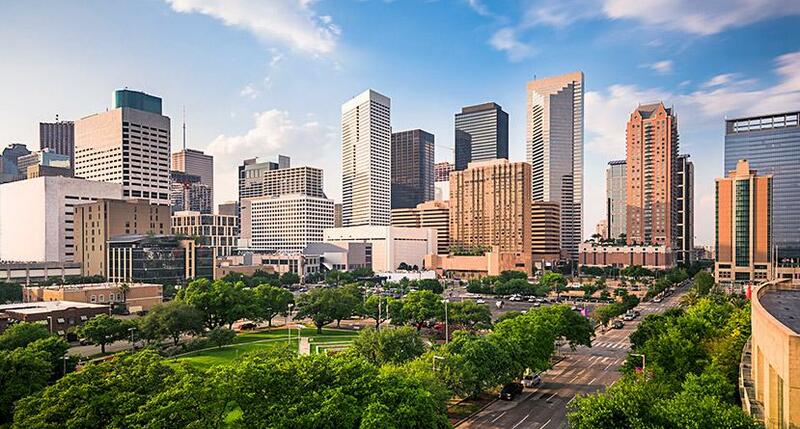 Houston is home to the nation’s largest medical center. In this session, we will showcase the innovative work of the cross sector collaboration in Houston which is driving more inclusive economic growth by working closely with business and skills training providers to ensure a win for job seekers, employees, employers, and the regional economy. We will learn more about the UpSkill Houston’s efforts to create a healthcare sector council and a health talent pipeline. Wesley and Methodist Hospital will discuss their mutually beneficial relationship that has been growing over the last several years. We will also hear from Episcopal Health Foundation on the import role philanthropy can play in investing in the Social Determinants of Health. In this session, we will spotlight the work of three sites who are in the first of three years piloting an Advancement-Retention strategy: Focus Hope (Detroit), JARC (Chicago) and Wesley (Houston). A representative from each city will discuss the innovative strategies they have employed to help their clients advance. The FinTech spotlight will highlight innovations in FinTech that potentially benefit FOC/BCO clients. The purpose of this session is to share current FinTech solutions and to present the benefits and possible challenges in providing FinTech to low-income clients. The session will include panel and small group discussions. This breakout session will introduce the components and importance of the BCO model. Participants should expect to learn the basics of the BCO model and ways it can be incorporated into their organization. The purpose of this session is to engage mature Bridges to Career Opportunities sites in a discussion on long-term client engagement. The session will explore a case study and make the connection to successful engagement strategies. Participants will walk away with clear, actionable steps to develop their own engagement strategies. This session will explore the core elements of the FOC model and how new and prospective FOCs can successfully implement the model within their organizations. After attending the session, participants will walk away with practitioner tips on how to layer the model over their existing programs and become leaders in their local FOC Networks. You've launched your Financial Opportunity Center, conquered Salesforce and the performance report, cultivated a shared organizational vision around coaching and integrated service delivery, and been up and running for the past year (or two years, or several years). Now what? After successfully establishing and operating the model, many FOCs find they're ready to scale (increase the number of clients) or strengthen (improve/enhance) their services; in other cases, the data reveal that a shift (in location, client population, etc.) is needed in order to realize the model's full potential for impact. In this workshop, seasoned FOC leaders will share their experiences with scaling, strengthening, or shifting services, and help facilitate an interactive, peer-sharing strategy session for FOCs looking to either course-correct or take their program to the next level. The FFT Performance Report is a valuable tool for managing and evaluating program performance, yet it may be overwhelming for those unfamiliar with it. Through this interactive session and case study, attendees will gain insight on how to use the FFT Performance Report to manage program performance. This breakout session will introduce the FCA model, probable outcomes and best practices for implementation. The goal of this session is for participants to learn about the FCA model and how it can be applied to their programming. Expert practitioners will share successful practices for developing workforce development/career pathways programs that successfully serve individuals with criminal backgrounds. Speakers will share best practices for building strong referral partnerships, conducting assessments and career planning, designing training and incentives, engaging employers, and ensuring job retention. Attendees will then apply their learning during a small group activity that will help them generate actionable steps and identify new strategies to serve returning citizens. Research has shown a strong and pervasive connection between health and wealth. Much of the evidence indicates that greater levels of wealth are linked to better health. Often measured through the social determinants of health, these connections are integral to financial stability work. This session will explore the Social Determinants of Health framework and its role in shaping health outcomes. Examples of programmatic strategies and interventions will be discussed to illustrate how Financial Opportunity Centers can implement initiatives to address social determinants. Using program retention as a lens, we will explore how FOCs can use the client flows they already develop as a starting point to identify frictions and behavioral barriers. This interactive session will take participants through the development of behavior maps and designing targeted interventions to address identified barriers.